Raytheon is a company that has been around for over 90 years, providing defense weaponry, missile guidance systems, and more to the United States Military. In fact, they are the largest producer in the world of guided missiles, so it would come as no surprise that they would be the ones to innovate the manufacturing process for these weapons. 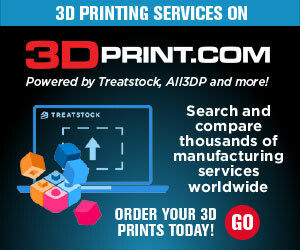 3D printing is a technology that has rapidly been adopted into the world of manufacturing. It’s a cheaper, more efficient means of producing products, as well as a way in which companies can more rapidly prototype their various designs. Raytheon has been using and experimenting with the technology for years now, especially in the prototyping process. Now, however, the company says that they have 3D printed just about every component needed for a guided weapon. This includes the 3D printing of the rocket engines, the parts for the guidance and control systems, the fins on the missiles themselves, and more. Moreso, Jeremy Danforth, an engineer at Raytheon, says that the potential is there for missiles to be 3D printed on demand in the field, as needed. Like many other high-tech firms, Raytheon has been looking more and more toward 3D printing as a means of fabricating products including the 3D printing of electronic circuits. They are currently in the process of developing a means to print out complex circuits as well as tiny microwave components which can be used in the production of the company’s Patriot air and missile defense system — a long-range, high-altitude, all-weather system that that can counter threats from tactical ballistic missiles, cruise missiles, and even aircraft/drones. Hull believes that someday the 3D printing of missiles will become a streamlined process that allows for soldiers to print and assemble missiles on the spot. While we are still a ways off from this becoming a reality, due to the fact that a more consistent production method will need to be developed in order to ensure safe, accurately performing weapons, Raytheon already has proven that it’s possible to 3D print these weapons. Jeremy Danforth says that Raytheon is currently in the process of 3D printing “demos of many of the seeker components” for their missiles, and other companies have been 3D printing warheads. He says that, so far, his company has printed 80 percent of what would go into an entire working missile. Of course this brings up the potential that this technology could get in the hands of the wrong people, but that would still require a lot of know-how, at this point in time, in order to develop a precise weapon of the caliber that Raytheon’s missile systems are capable of. Raytheon is focused on continuing to move toward 3D printing as a replacement for much of their other subtractive methods of manufacturing. It saves them time, money, and material, while also making what was previously impossible to manufacture, now very possible. Raytheon is currently using both high-end 3D printers and their own custom modified lower-cost machines to print both functional and nonfunctional objects and components. Replacing older subtractive methods of manufacturing with these newer additive methods (3D printing) means that instead of using a large amount of material to create components which are almost microscopic, Raytheon is now turning to 3D printing as a means to lay down these tiny components one layer at a time, wasting literally nothing in the process. It should be interesting to follow the progress that Raytheon makes in the months and years ahead. Will we one day soon see soldiers 3D printing missiles on the battlefield? It’s very possible! What do you think about the potential that this provides to the US Military? Could this technology come back and haunt us? 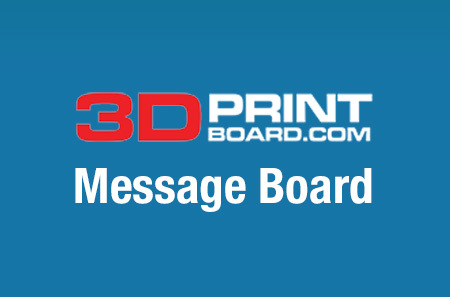 Discuss in the 3D Printed Missile forum thread on 3DPB.com.